Asahikawa Walking Map was issued. UU-Hokkaido presents the 3rd map of Hokkaido. Asahikawa walking map has be issued. 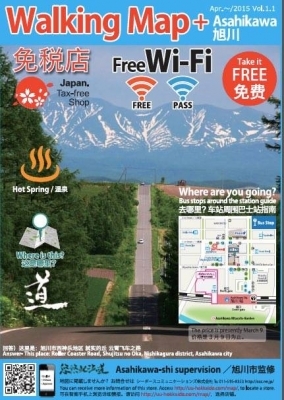 It's convenient to find the Tax-freeshop, Free wifi spots, tourist information of Sounkyo, Asahidake, Furano, Biei and so on. You can get this at mainly hotels and tourist information center. Other version as Sapporo and Hakodate are also issued.